We are pleased to announce the launch of the WHSAD / Powerhouse partnership with our March, 2016 pilot program. 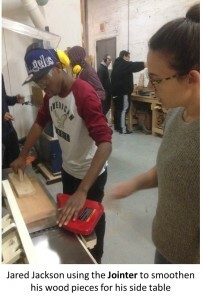 This course will take place at the Makeville studio on site at the Gowanus Canal. 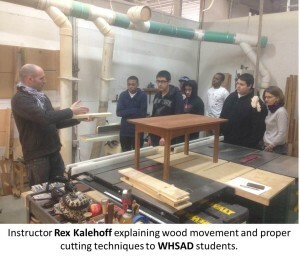 In this 8 week course, WHSAD students will use a variety of common woodworking techniques to construct a side table. Through the process of building the table, students will develop technical skills and a basic understanding of construction and joinery methods used in furniture projects. 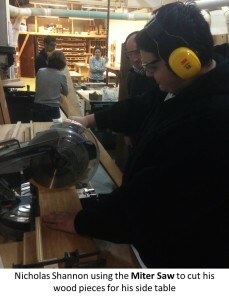 Students will discuss wood movement and anatomy, as well as selecting the right wood for various design projects. Students will develop an understanding of woodworking machinery as well as traditional hand tools.